Receive a Free Bonus High Speed HDMI Cable with every Audio Video Receiver. * While supplies last. No limit. No Cash Value - cannot be substituted. Capital Sound has everything you need to build the best TV & Home Theater! We carry the top brands of electronics to make your favorite movies and TV shows come to life. An AV Receiver is the main hub of your home entertainment system, shop with Capital Sound and find the perfect one for your home theater. Shop our Anthem, Denon, Marantz and Pioneer Elite AV Receiver collection and make an integral investment in your sound system. Capital Sound delivers the best equipment at the best prices. If you need help selecting the Marantz AV Receiver that will work best for you, please contact us at 613-884-8809. 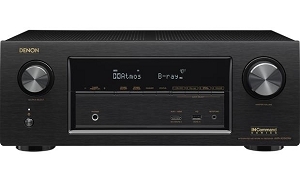 And don't forget your purchase of a Marantz AV Receiver is accompanied by a free bonus offer!